The recipe I’m sharing today is a twist on a traditional Easter favourite … it’s a Hot Cross Bun Loaf! 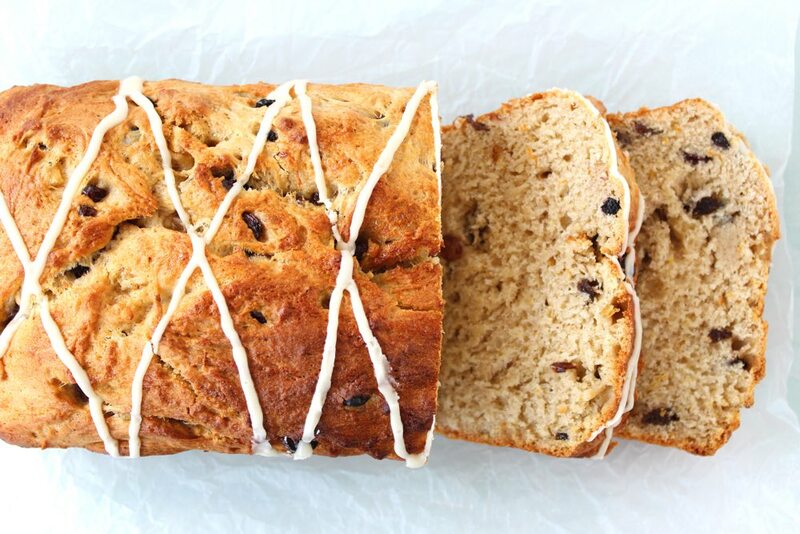 This spiced fruity loaf is perfect for sharing with friends and family over the holidays. I’ve made three loaves already this week and no doubt I’ll be baking more in the lead up to the bank holiday weekend. It sure is a crowd pleaser. Happy holidays everyone! Today’s recipe for Seitan ‘Chicken’ is a new favourite of mine. 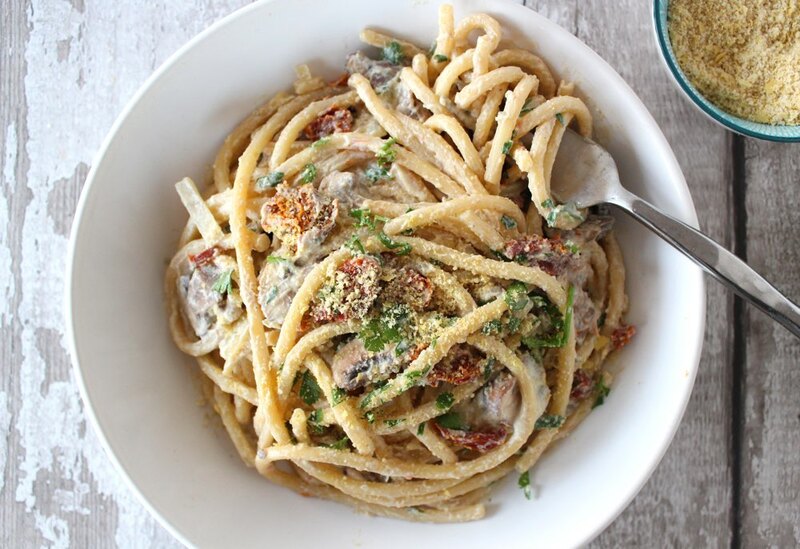 It’s easy to make, has a succulent, chewy texture and tastes great. It can be torn into chunks and used as a meat substitute in dishes that traditionally use chicken (such as Butter Chicken), or it can be sliced and used for sandwiches. I especially love to slice it into discs and pan-fry it in a little olive oil for a warm sandwich filling. 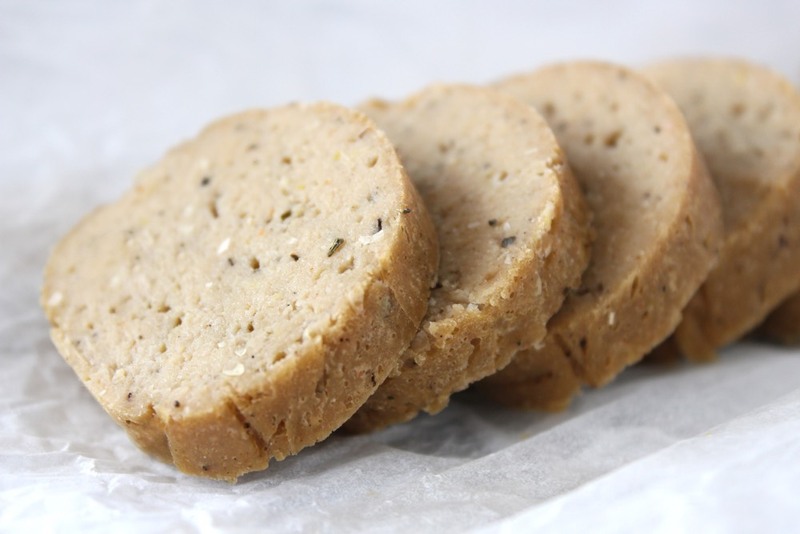 Seitan has a super high protein content. 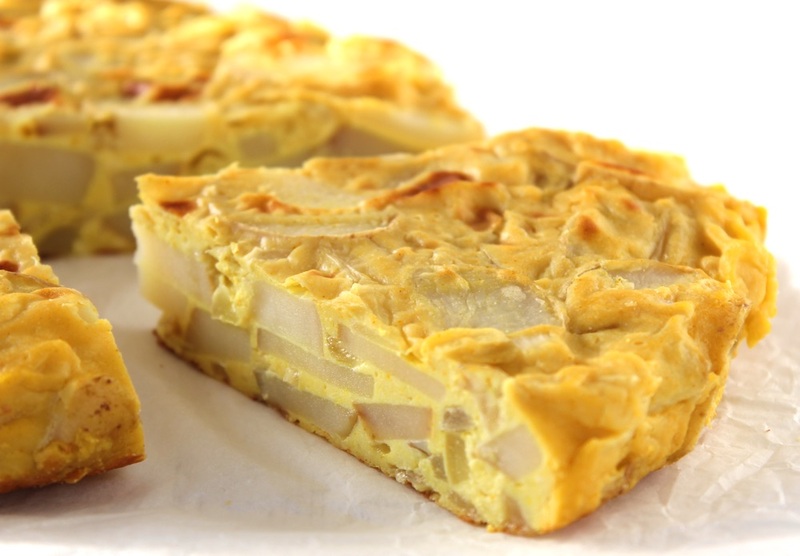 Today’s recipe contains a wopping 52% of the protein RDA per 100g. It’s also high in B vitamins and a range of minerals, especially iron, selenium and zinc. 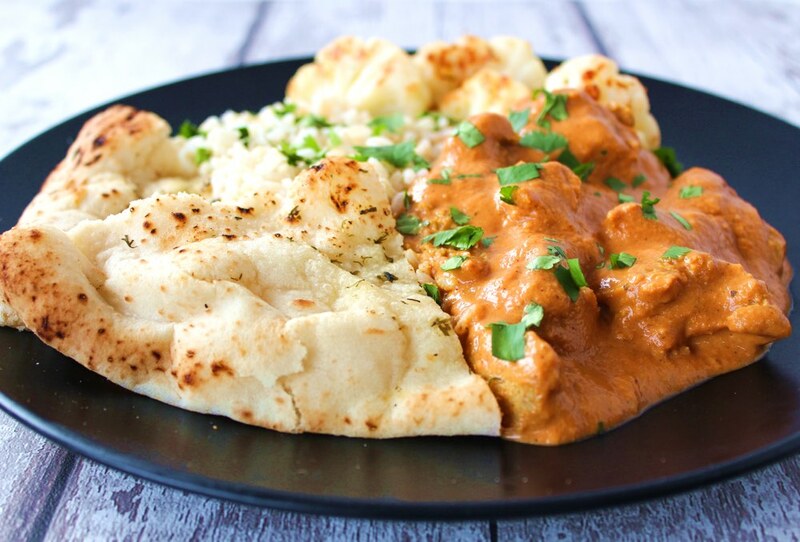 It’s low fat and contains zero cholesterol so, providing you’re not gluten intolerant, this recipe makes a tasty, healthy, cruelty-free alternative to chicken. In today’s post, I’m sharing a recipe for a Chinese “Egg-Fried” Rice that’s perfect for serving any night when you need a quick and easy meal on the table. Not only is it tasty, but it’s also packed full of nutritional goodness. It’s especially rich in protein, vitamins A, B and C, and an array of minerals. For example, a quarter serving of the recipe provides a whopping 48% of the protein RDA, 55% of the calcium RDA, 53% of the vitamin C RDA and 168% of the vitamin A RDA!! 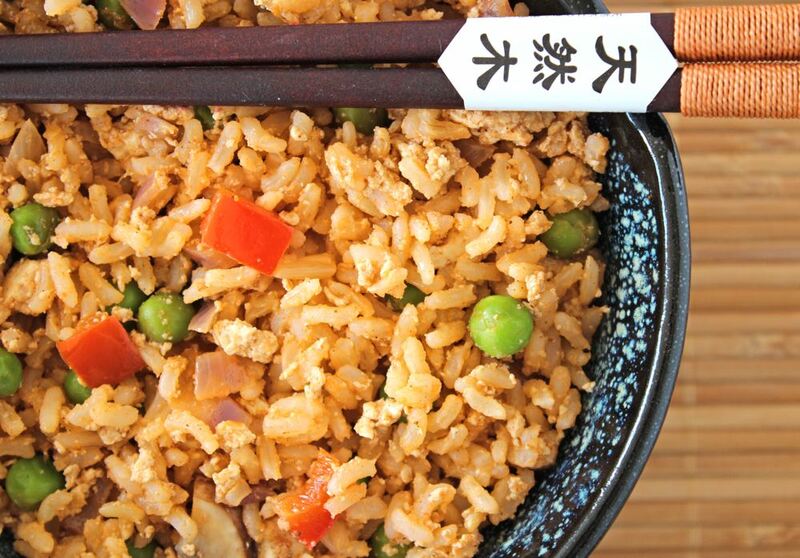 It’s also much lower in fat than traditional Chinese egg-fried rice and contains zero cholesterol. And, most importantly, it’s cruelty free! No hens or chicks were harmed in the making of this meal!